All around the world, employees of MGM Networks can publish texts online using the Bavarian editorial system and at the same time synchronise them in various languages. The decision to use NOEO was made in Los Angeles and Munich. "NOEO allows us to present a worldwide uniform picture of the MGM Channel in the Internet. Despite that, we can fully consider the requirements of individual regional circumstances." said Marcus Ammon, managing director of MGM Networks in Germany. "What was especially important for us was to find a software solution which did not restrict our website design. The problem-free integration of videos, flash films and regularly changing designs for microsites is an important prerequisite for that. In addition, all texts and design templates have to be available for all the sites worldwide and it must be as easy as possible to synchronise them!" In Los Angeles, at Metro-Goldwyn-Mayer, Marketing Manager Elisabeth Squires sees it exactly the same way. 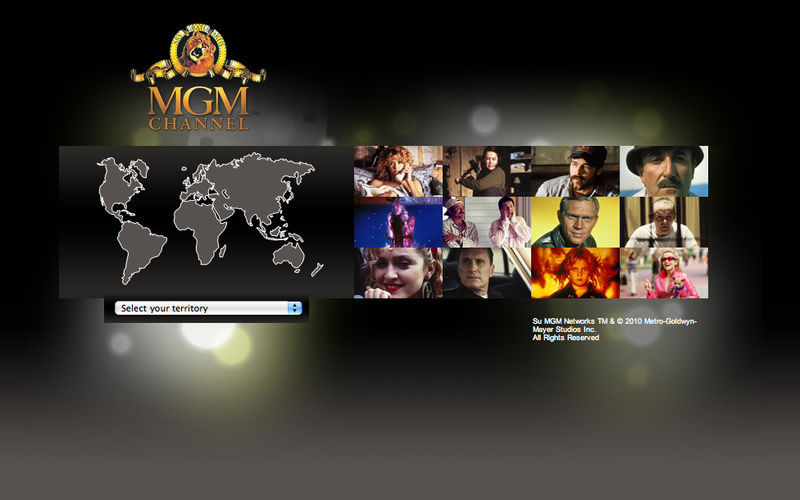 "MGM Networks commissioned NOEO to develop an international website for the MGM Channel. We needed a customizable site that could be updated and maintained by each of our regional offices, and that could communicate channel information to the almost 120 countries and territories in which the MGM Channel broadcasts. In order to accomplish this, NOEO created a CMS tool so that we could manage and maintain individual territory sites: i.e. post monthly program schedules and highlights, special promotions and contests!" In the last two years, Metro-Goldwyn-Mayer was able to more than quadruple the number of territories in which MGM programmes can be received.